Jon Anderson Appointed New Manager For Widnes Wild. 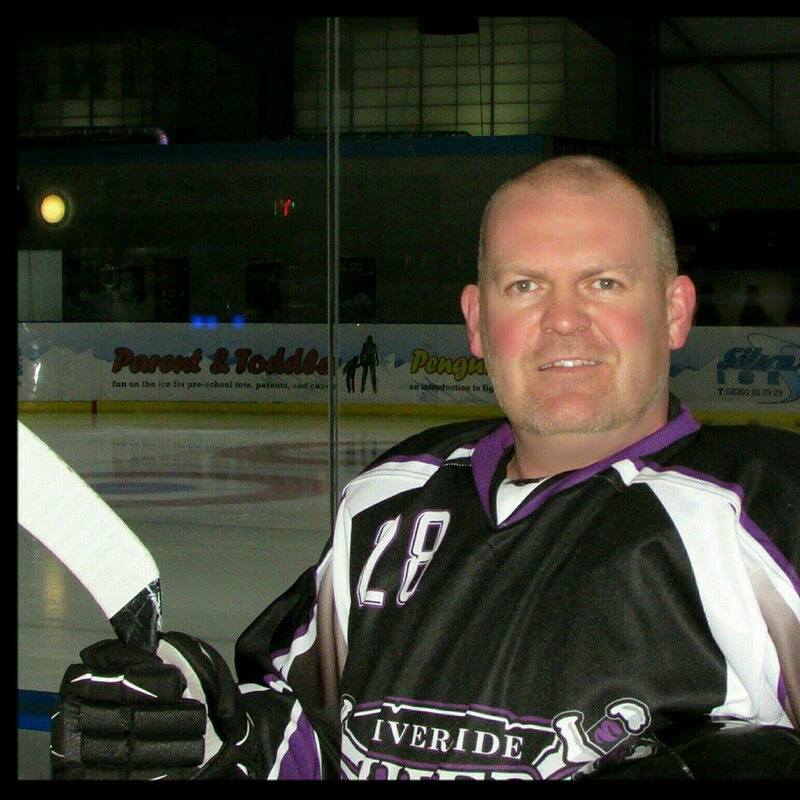 Head coach, Scott McKenzie is delighted to announce Jon Anderson as the Widnes Wild manager for the upcoming season. 42 Year old, father of 2, Jon Anderson, originally from Widnes will take over from Mick Caunce as the new manager for Widnes Wild. Jon first took an interest in the sport from a young age after watching the winter Olympics with his father. In the early 80’s Jon was involved in the Widnes street hockey scene and also played roller hockey in Warrington with a team of guys from Widnes called The Destroyers. When the rink closed down in the mid 80’s he continued to follow ice hockey by watching the Great Britain team, Manchester Storm and even made a few journeys further afield to Canada to watch the Toronto Maple Leafs play in the NHL (National Hockey League). When Silver Blades opened in 2012, Jon brought his 2 sons skating and having picked it up quickly they both now play for the Widnes Wild junior team. Since then Jon has developed and created a recreational ice hockey team called The Riverside Raiders, who are currently competing in the Northern Rec Hockey Cup. He also has achieved both of his EIHA (English Ice Hockey Association) Level 1 coaching and level 1 official referee qualification. << The Only Way Is Wild For Kieran Strangeway.